This healing method combines the 'laying on' of crystals with the gentle art of reiki. Each complements the other. 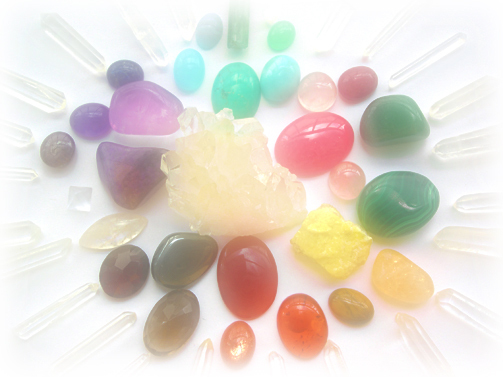 Reiki energy works wonderfully well with all types of crystals and crystal items. You can use Reiki to cleanse any type of crystal, simply holding the crystal and intending that it should be cleansed. You can write down any problems you are having on paper and place a crystal under it intending that the Reiki flow into the problem to create healing. For more information on crystal and reiki, please refer to the relevant pages on this website. A typical crystal reiki treatment will take about an hour and you will remain fully clothed during this time. The only item I may ask you to remove, are your shoes! Please wear comfortable, loose-fitting clothes. There will be soft, relaxing music in the background.